Our Journey starts back in 1948 when our deceased father Mr. Elias j. Battikha the father of two boys and seven girls moved to Jordan leaving his work as a Foreman for the land equipment division at the British Royal Air force in Palestine, to open his own private shop in the small city of Al-Salt where he performed mostly electrical work on cars and trucks. Two years later he moved to the Capital Amman to attract more business as he opened his second shop in Ras El-Ein, Adeeb Al –Sabbagh Industrial Complex , where he shared his work with an Armenian mechanic called Leon ,both working on Automatic Transmissions available in the market , early generation of General Motors Hydramatics , Ford Flashomatic and Chrysler Torqueflite. As the Industry moved on he had to upgrade himself by opening a big shop in the early 60’s going in a partnership with a dear friend Mr. Khaled Alhaj Hasan, which was considered to be a Car Hospital since it was a combination of a body shop, car wash, mechanic shop, upholstery, electrical shop and spare parts outlet. Several years later this project has been demolished since it was caught on fire. Mr. Battikha the father never gives up as usual, he opened a new shop on his own in the late 60’s and went on with his life serving the Automatic Transmission Industry, in the early seventies he opened a spare parts store as well where he used to stock parts for both Automatic Transmissions and engine parts. He had open channels with U.S suppliers such as A.T.P and car dealers in Lebanon and Kuwait in order to provide parts at all times. His vision for the future was to invest in his two sons, he made us spend most of our free time after school around him playing with parts, oil and enjoying the test drives which really helped us a lot choosing our career, and since the technology was moving fast he helped us receive higher education and proper training courses at car manufacturers especially General Motors in the States. The idea of JATTCO came to me in the year 1990 as the population of Automatic Transmissions was increasing rapidly. The company was established in 1991 under the name of Jordan Automatic Transmission Trading Co. A partnership between the two brothers ending in the year 2003 completely owned by myself Mr. Jihad E. Battikha the elder son since the younger son pulled out of the company and went on with his life. 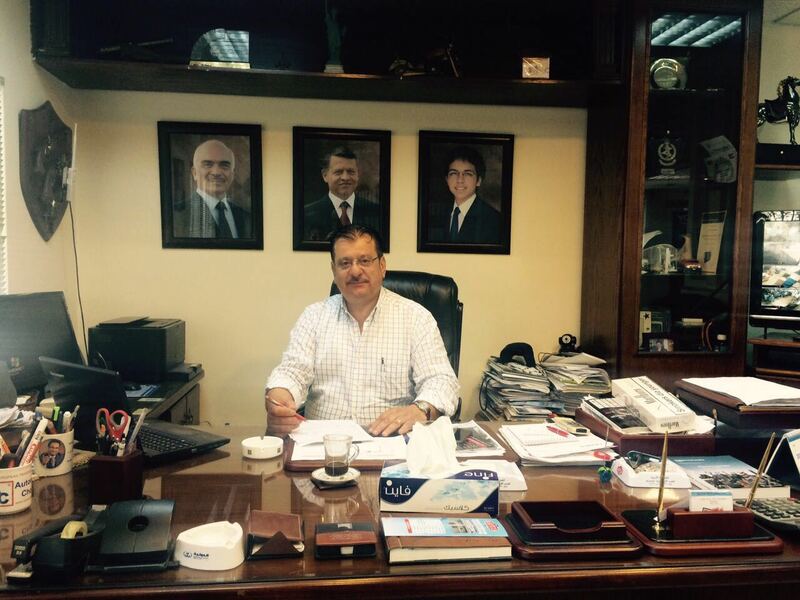 JATTCO had three branches in the largest industrial areas in Jordan along with a warehouse in Al Zarqa Free Zone. JATTCO was established to distribute and re-export automatic transmission parts for Jordanian market and other markets as well. In 1999 A new transmission service center was established under the name of Jordan American Transmission Service Center (JATSCO) in which we provided service for all types of automatic transmissions for many applications Domestic, European and Asian. In 2004 Battikha Automatic Transmission center was established to serve the automatic transmission industry and the other shop JATSCO started providing regular services as tune ups, brakes, suspension, engine mechanical and electrical work. The year 2007 we have become a ZF Service partners since we entered into an agreement with the local ZF distributor Al-Sabbagh Brothers in which we received local training from ZF engineers and we established a ZF service center fully equipped to serve all ZF products and ever since we have been traveling to Germany once or twice a year to receive proper training provided by ZF Germany. With our deep thoughts and intentions to serve our customers by providing excellent services and original parts we decided to open a new service center and another spare parts store in another industrial area which will be announced shortly. At Battikha Auto, Jatsco and Jattco, we value our customers and we shall strive to provide them with optimum services and highest quality parts at competitive prices to help maintain their cars. Battikha is the name that was passed on from father to son and shall go on to next generations to serve the Automatic Transmission Industry.